During the hundred-day world lecture tour, we distributed numerous free sample booklets, leaflets and posters. 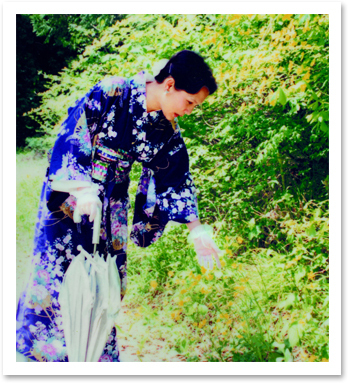 Many newspapers carried pictures of Master and reports about Her teachings in dozens of languages. TV and radio stations broadcast news about Her activities and teachings. Through God's boundless glory, landmarks of enlightenment were erected in cities and countries around the globe, lighting the way for countless lost sheep, leading them to Master and back to the Kingdom of infinite light. Those of us who were privileged to accompany Her on the tour to assist with the multitude of tasks required to deliver lectures to thousands of people in city after city, country after country, with no respite between crowded lecture venues, could only look upon Master with amazement. This petite Person with a delicate physical body, yet possessing incredible energy and stamina, maintained such an extraordinary pace that we had difficulty keeping up with it. There is no doubt that only someone connected to the Universal Powerhouse could possibly have endured the physical hardships and successfully overcome the obstacles that a tour of this magnitude generates. Master has said, "When I teach the Method, it is not my body that speaks, but it is the Buddha, God or The Master power within." Among those who were fortunate enough to experience the blessings of God during that period, some were immediately enlightened and initiated into the Quan Yin Method. Others gradually became enlightened and were initiated later. Every one of them has chosen to enter his own golden era. Although there are some who have not been initiated, the seeds have been sown deeply within their hearts and their lives are permanently marked by God. The 1993 world lecture tour contributed immeasurably to the elevation of the Earth's spiritual level and world civilization. When a Great Saint makes a merciful vow, those who have affinity with Her see the light of liberation. The spiritual current thus set into motion lasts a long, long time and continues to flow rapidly around the world.